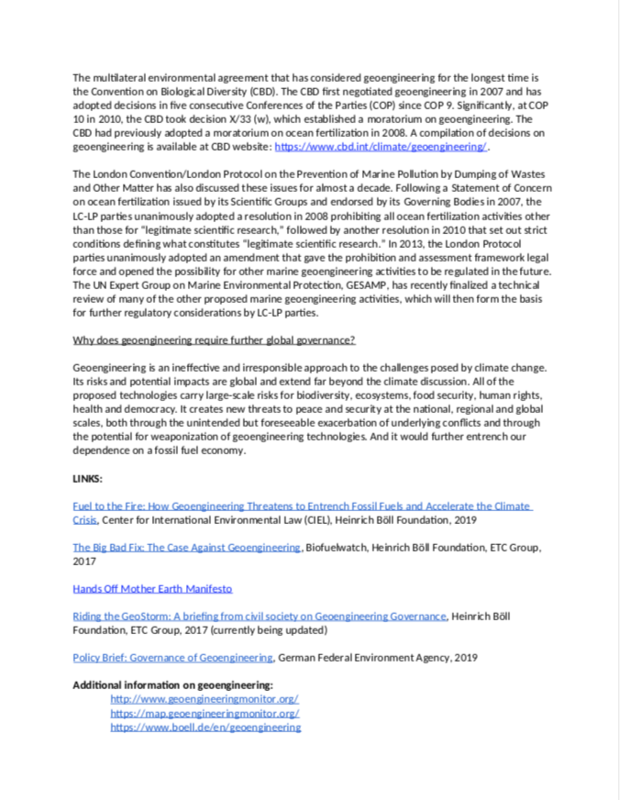 ZG Editor’s Note: Geoengineering is environmental warfare. Geoengineering causes extreme climate and weather changes, pollutes the air we breathe, our water, and soil. 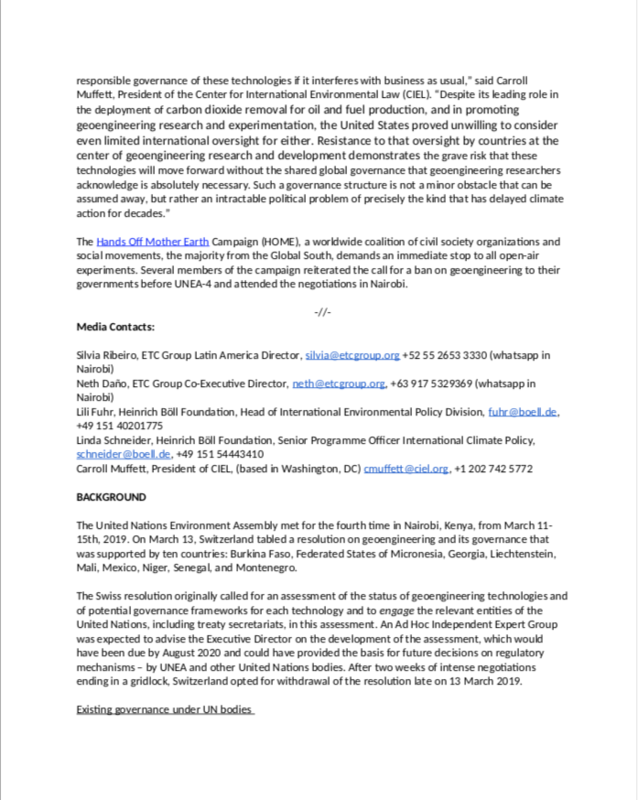 The only legitimate Geoengineering governance is to first protect all life and our environment by prohibiting the deployment of hazardous pollution emissions (aerosols and electromagnetic microwave radiation) and banning Geoengineering methods that alter or interfere with Earth’s natural climate and weather processes. 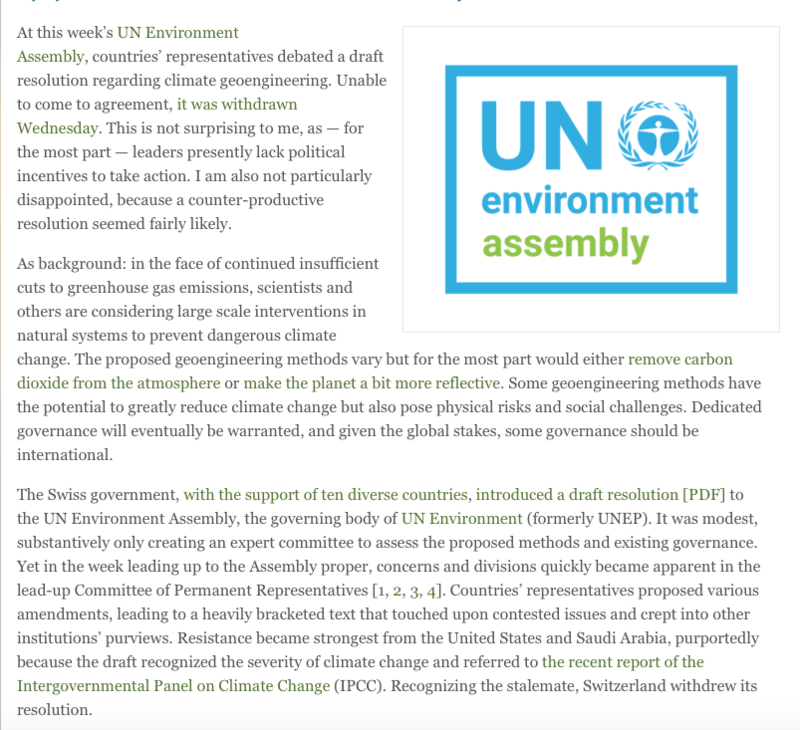 Regardless, geoengineering research and its governance will continue to move ahead, with or without action by the UN Environment Assembly or other international institutions. 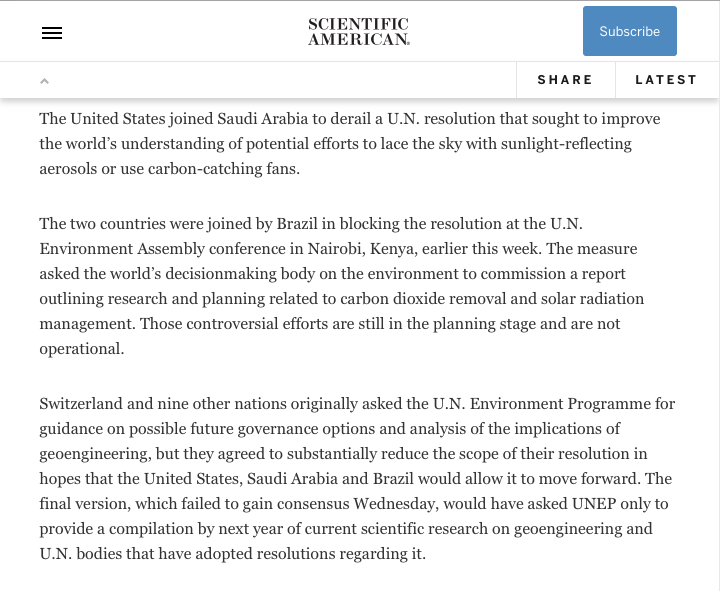 For example, a couple weeks ago, the US National Academies appointed its own committee to “develop a research agenda and recommend research governance approaches” for solar geoengineering, similar to what it has done for carbon dioxide removal. 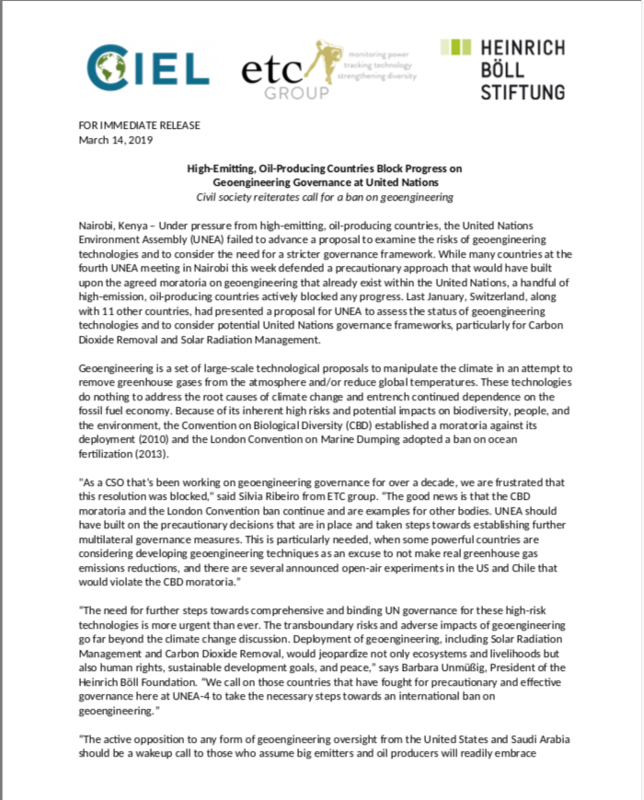 Likewise, on Monday, a team of researchers published important results from a high-resolution model that indicates that a moderate use of solar geoengineering might be able to reduce climate change for essentially the entire planet, with no regions becoming climatically worse off. Thanks to RR for sharing this article with us @ ZG!